It is finally Fall time here in Marietta, GA where our event venue ,Gala Events Facility is located! The weather is getting cooler, the days are getting a shorter, football has started back up, festivals are in full swing and the leaves are turning beautiful colors of yellows, reds and oranges. Can a fall wedding be beautiful? What flower are available at this time of year? It is true that while the weather and foliage is beautiful during this time of year, it can be difficult to find flowers that are in season to use for a fall wedding. 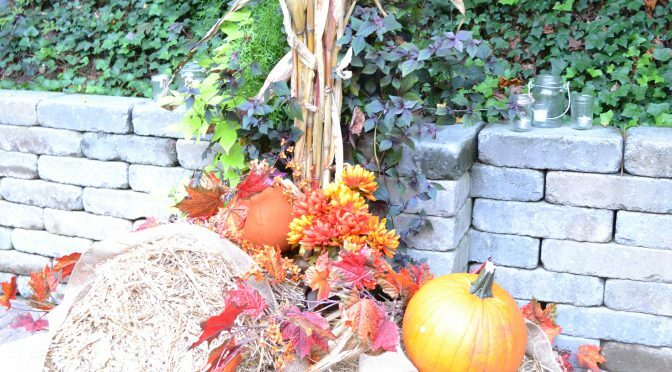 This is the perfect opportunity for a fall bride to get inventive when creating decorations and bouquets – try incorporating items such as wheat, crabapples and ornamental vegetables. These can provide beautiful colors and effects and send your wedding guests away raving about the interesting looks seen at your wedding reception. At Gala Event Facility, we allow our customers to decorate the reception and wedding venue areas to their liking – we have had some very interesting and beautiful weddings/receptions and other events over the years. We allow our customers the freedom to utilize their own decorations, rent our decorations and fabric coverings as well as choose from our preferred vendors or use their own vendors. This truly allows our customers to have the freedom to turn their wedding or event into what they have always dreamed of. Our manager, Kathi Bland, is very accommodating in allowing our guests the freedom and time to decorate and get our event venue in Marietta just right for their big wedding day. We would love to show you around our event venue facility and help you to realize the dream wedding or event you have always wanted!